There are a ton of web hosting companies to choose from, so you need to practice discernment when making your ultimate pick. The ideal web hosting company is affordable as well as easy to use and dependable. Keep in mind that different people have different hosting needs, and each company has its own strengths. 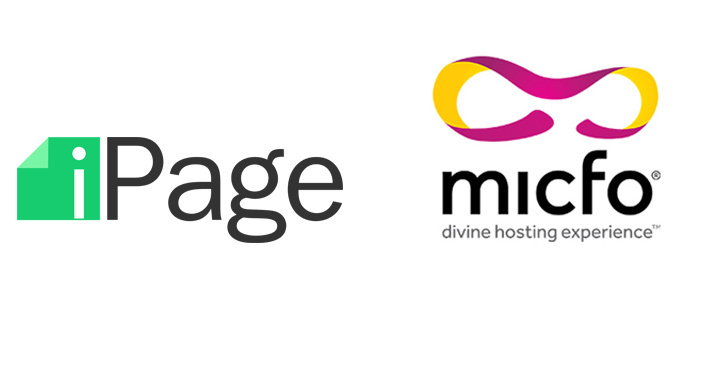 In this article, we’re comparing two web hosting companies: iPage and Micfo. We’re evaluating each company based on important criteria like usability, security, prices, page loading times, uptime, and customer service. iPage is one of the lowest-priced web hosting companies out there. It offers introductory promotional pricing at a very low price, and a robust hosting package, so you get quite a lot for your money. It’s often used by individuals as well as small business owners. The main cons of iPage are that their uptime and loading times are not quite as fast as the leading web hosting companies. Micfo is geared towards companies and businesses. They offer business hosting, industry hosting solutions, and dedicated server hosting. Their packages are geared towards businesses such as web developers, designers, non-profits, gaming companies, and a variety of other fields. Micfo offers 99.9% uptime, which is average, and a congestion-free network. With its higher uptime and faster loading times, Micfo comes out ahead as an overall performer. Starting with iPage, they do not offer month-to-month hosting, and their prices range from $8.99 to $20.95, while a dedicated server costs between $119.99 and 191.99 per month. Their basic site builder gets you started. They offer free installation and integration of many apps, like WordPress, forums and eCommerce stores. Their starter hosting plan includes unlimited disk space and unlimited bandwidth along with one free domain. Micfo’s packages are geared toward medium and large businesses of various types. They offer reseller hosting for those who want to manage and sell their own hosting and domain services. Micfo also offers free installation of WordPress, eCommerce solutions and other month-to-month hosting options on all of their plans. Business hosting plans start at $14 per month for 70GB of storage and 700GB of bandwidth. Dedicated servers can run from $99 to $379 per month. Comparing these two, Micfo goes ahead yet again. iPage offers SiteLock for free with every plan. It offers SSL encryption for $31.99 per year. They automatically backup your website daily. Additionally, you have the option to restrict who has access to the server or to certain sections of the website. iPage guarantees a return of your unused fees if you decide to cancel in the middle of a plan term. Micfo offers free regular backups for every plan. Even their basic business hosting plan comes with a dedicated SSL for free, as well as domain WHOIS protection. You can restrict access to the IP and password to protect your hosting directories. They monitor and secure your data. They also offer a 30-day money back guarantee. Due to their offering of a dedicated SSL included in each plan, Micfo is the superior hosting company as far as security. iPage has multiple website builders, with the most basic one being free. They offer tons of pre-made templates and themes, although the interface is not completely intuitive or smooth to use, but still not difficult to learn either. It’s quick and easy to set up a new domain with iPage. Their 24/7 online customer support can also help you with this process. Micfo is somewhat less user-friendly at first glance. They use a lot of hosting-specific jargon, which seems a little daunting for a beginner. However, they do offer an online website builder to clients, and the control panel is easy to use, with a dedicated 24/7 customer service team. This is a close one. Micfo is quite usable for those with the knowledge and has many advanced tools for companies to use. However, we have to say that iPage is overall much more user-friendly for the average website builder. iPage offers support by phone or by online chat. Their employees are available 24/7, though you may have to wait to talk to someone. With iPage, there are multiple tools available for helping you build your website. Micfo offers 24/7 customer support as well, either by phone or by live chat. They offer one free website builder, but, overall, they have fewer tools than iPage. Thus, iPage offers better customer service than Micfo. Micfo is a powerful hosting company that’s probably most appropriate for those with major hosting needs — industry professionals, developers, website builders, and other businesses. They offer more solid performance and security than iPage. However, iPage is more suited for the average website builder. They offer much more for a lower price, and they have more features built in to help a beginner get started with their website. They also offer a quicker set-up and a usable interface. Thus, we recommend iPage for most website hosting needs. Have you used Micfo or iPage? What was your experience? Tell us in the comments!